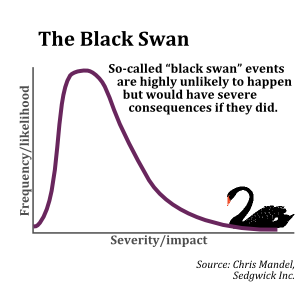 The Black Swan event Nassim Taleb predicted took place yesterday evening. The Donald is now President-Elect. Hillary supporters are having one horrible day, and probably got very little sleep last night. The masses have taken to protesting the results of the Electoral College. I don't tune into the news but I did briefly get a glimpse of what's happening out there as I turned the channel to Nick Jr. so my kids could watch Paw Patrol and let my wife and I catch up. School was very interesting today. Middle schoolers say the darndest things. One in particular, a female who is a muslim, was going around interviewing kids about the result. She came by to me, holding her notebook as a mic. She asked, "So, Homie G (that's what my students call me) what do you think about last night's results. My response, "It's 8:15 a.m. and it's in the 70s. Life is good." I put a daily message to my students on the corner of the white board. A young lady recently made me into a cartoon, so I put a text bubble coming out of its mouth so that my message is more noticeable. The messages I give to kids have nothing to do with the content I teach, science. They have everything to do with success and life. A teacher is more than a subject matter expert. A teacher is someone who can, if they choose to, inspire students to see beyond their limitations and fears and reach for their dreams. That's my mission even with Common Core Standards hovering over me. My message today was quite simple: "Get over it. Your success is not up to Donald Trump." Take this to heart yourself. However you may feel about the election, whether you're upset or excited, the results of the election won't change your personal situation of hardship. Ultimately, whether Donald Trump helps you get a job or not, you're still stuck living paycheck to paycheck. This has to do with financial illiteracy. Most Americans can't tell the difference between and asset and a liability. So long as this is true, Americans will struggle. Not to mention, people still neglect their number one pathway toward success: reading specific non-fiction books on the areas the 21st century is in demand for. Many Americans don't like to read, yet they expect to have jobs available to them indefinitely. Hillary supporters need to get off the road, and stop their protesting. It is a complete waste of time. Instead of protesting, Hillary supporters should be writing down goals to take back control of their future. They should be coming up with a M.A.P., a Massive Action Plan. Do yourself a favor and let go of what you can't control. You can control your own destiny. But you must first stop focusing on outcomes that you had no part in, or very little if you consider your one vote important. Focus on the outcomes of your own activity. If you're taking action to protest Donald Trump winning, you can take action to meet a professional or personal goal. Don't spend the next four years obsessing about Donald Trump, his promises, and deliveries. Obsess about yourself. Until next time. If you liked this post, please subscribe to get more like them.